You are a PPC account manager, managing anywhere between 2-20 accounts. Your portfolio consists of an eclectic mix of e-commerce, lead gen, direct response, branding, and any possible permutation of these listed. You have ‘x’ amount of hours a day to make all these accounts run not only effectively, but also grow. What’s one thing that you can do to maximize your time on these accounts? The answer is simple: Create a customized Daily Dashboard that gives you a ‘pulse’ of how your accounts are doing on a daily basis. 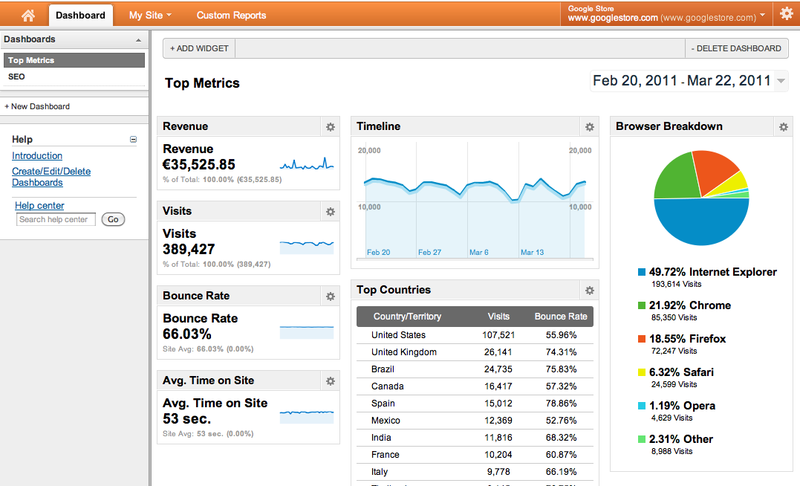 Google Adwords and Analytics already have a dashboard feature integrated. They are easily customizable and very user friendly. 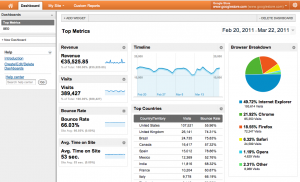 Just about every high end online marketing software (ie Omniture, Marin Software, etc) comes standard with the dashboard feature, and for good reason. All of us are given a finite number of hours in a day. 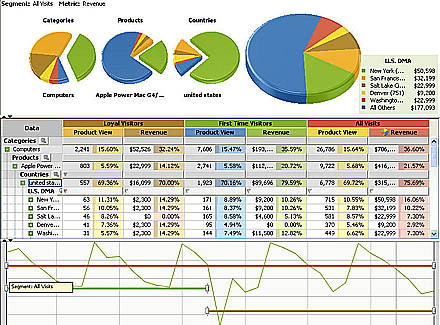 We do not have the time to export data and run analyses for all the accounts that we manage, just to find out how it is doing. At the same time, we do not have the luxury to tend to an account only when we have the time. Every account needs to be looked at on a daily basis, even if just briefly. The best thing you can do for yourself is to set up a daily dashboard for every account that you run, where you can monitor daily KPI snapshots and trends. Having account intimacy also helps tremendously, as you know when your accounts are in dire need of attention, or when it is performing according to expectations. 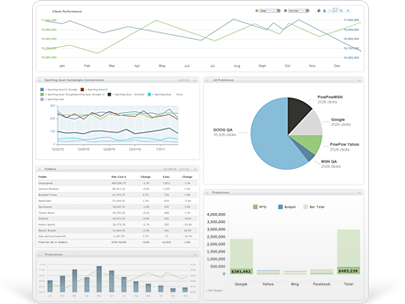 Here are some examples of dashboards from the larger advertising and tracking software. Of course, one can always create their own dashboard on Excel. 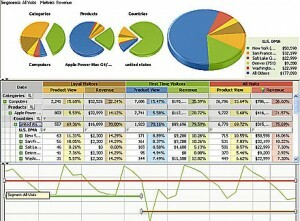 It would require an additional step of exporting data and importing to the excel file. The upside to this is that your dashboard is fully customizable, which is something that I extremely enjoy. This dashboard allows me to see how each of the campaigns (represented by geography) are performing. 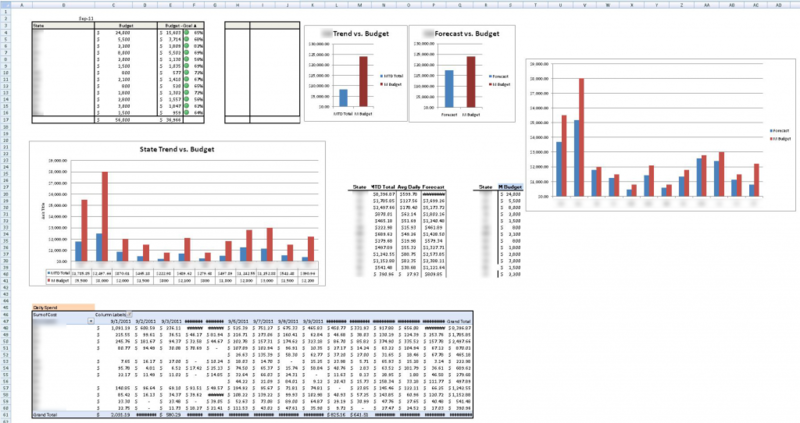 I am able to gauge spend and performance pacing, as well as forecast their month-end performance. Spending about 10-15minutes on this allows me to know immediately how my account is doing and move on to my next important task at hand.